The local hardware stores he checked Tuesday didn’t have the more substantial respirator mask that public health officials recommend to defend against the harmful wildfire smoke that is blanketing communities across the state. One pharmacy he contacted was selling surgical masks for only a quarter. 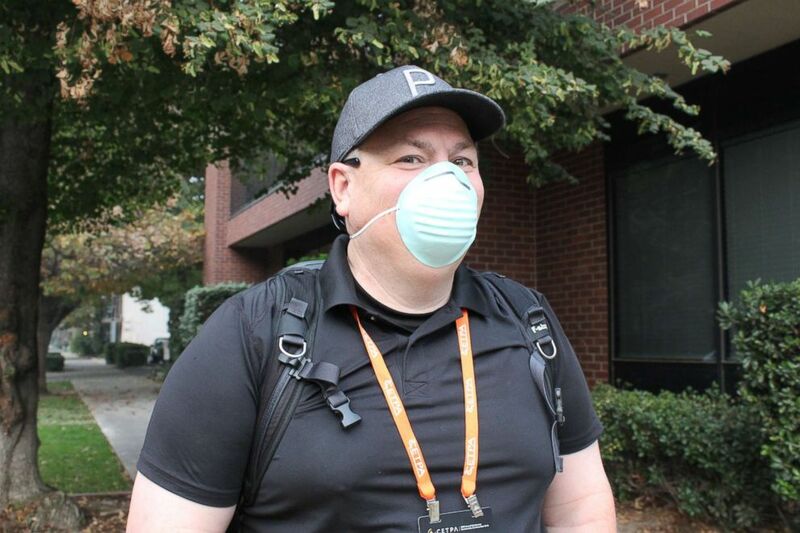 Toby Lewsadder of Los Angeles, who was visiting Sacramento on Nov. 13, 2018, for a conference, wears a dust mask because that is the only one he could find at a local hardware store. Many Sacramento-area stores ran out of the recommended N95 masks. 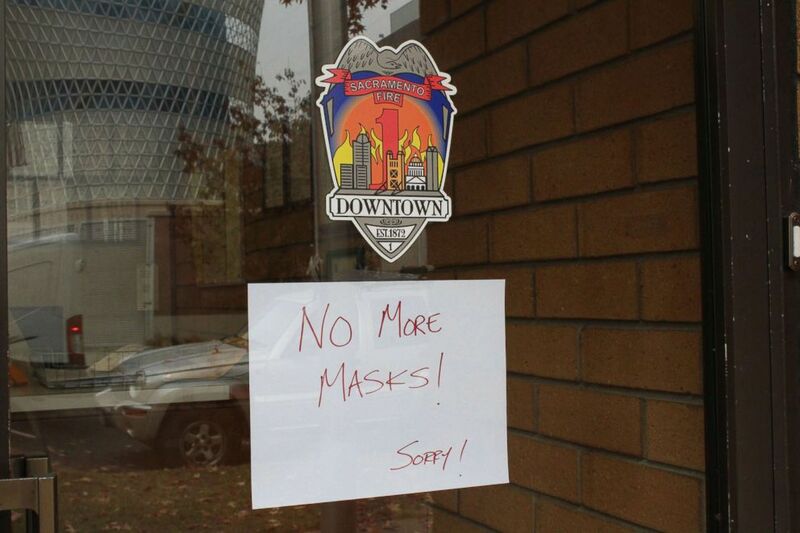 One fire station in downtown Sacramento temporarily ran out of N95 masks on Nov. 13, 2018. Once you find the right kind of mask, it’s also important to wear it correctly.